The iconic Langham Hotel in London is the venue for the 2018 World Airline Awards Ceremony. Posted on 15th May 2018 in 2018 World Airline Awards. The Langham London. Located in the heart of the West End, The Langham is a London icon that has enchanted royalty, dignitaries and celebrities for more than 150 years, and is renowned for its legendary services as Europe’s first “Grand Hotel”. 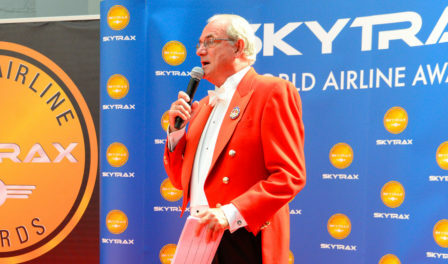 With a history of delighting guests, SKYTRAX selected The Langham as a perfect venue to celebrate the World Airline Awards, enabling airline winners to receive their awards in a truly memorable setting. 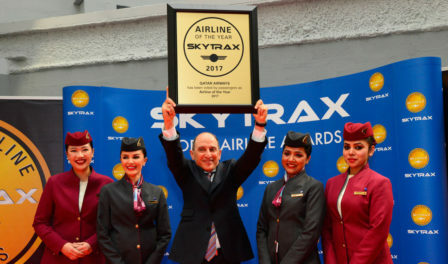 In accordance with the Airline Awards ethos, Skytrax provide the Awards ceremony on a complimentary basis. There is no payment or registration by an airline for any aspect of the Survey or Awards event. There is no charge for use of the World Airline Awards logos or other references. With most airlines bringing members of their uniformed airport and cabin staff to the event, total numbers will be limited and a final list of those attending should be registered by 3rd July. All registered guests will be welcomed in the entrance lobby to the Portman Foyer and Grand Ballroom area, located next to The Langham reception.